“Gift of the Chef” plate served at Screaming Eagle, Aruba. 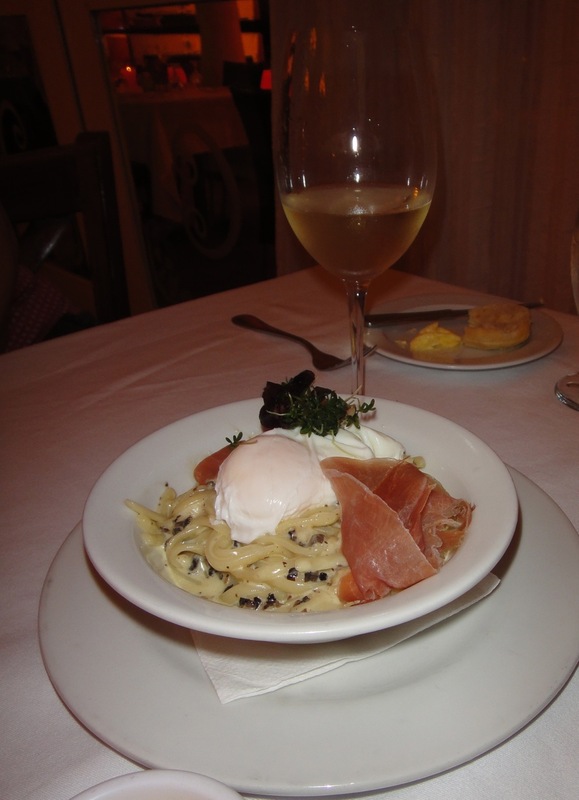 Truffle spaghetti with serano ham and a poached egg. 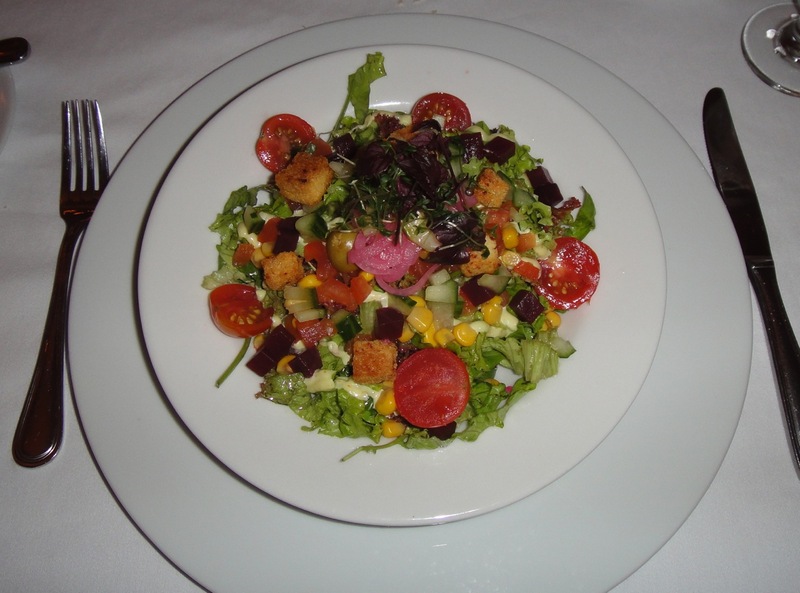 Caribbean Salad at Screaming Eagle, Aruba. 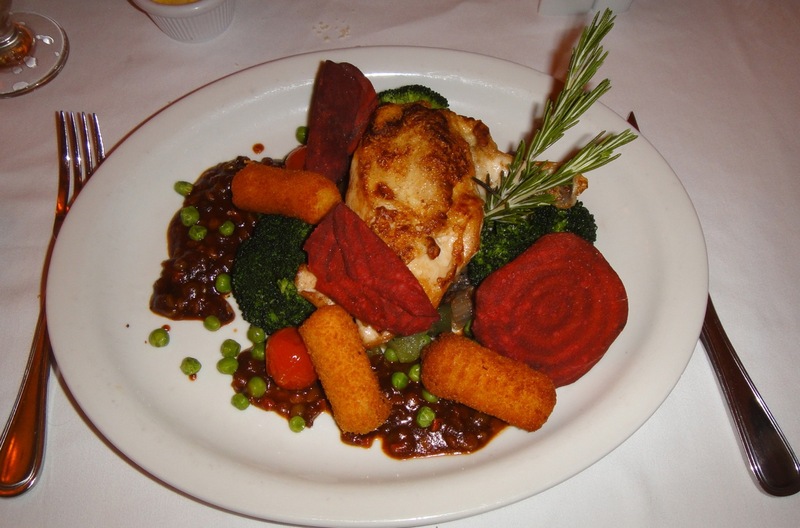 Chicken and vegetables at Screaming Eagle, Aruba. 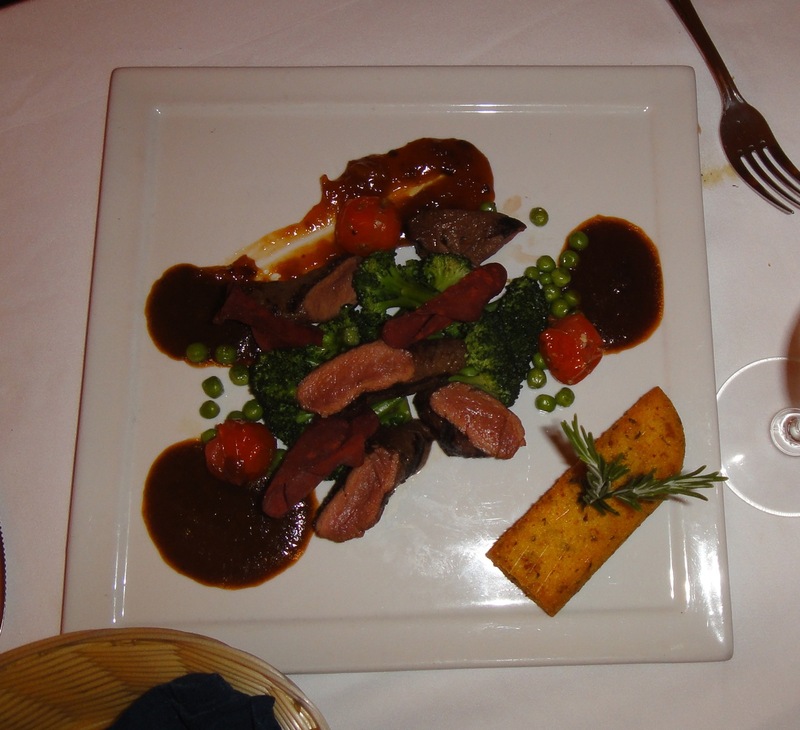 Grilled Kangaroo with apricot chutney at Screaming Eagle, Aruba. 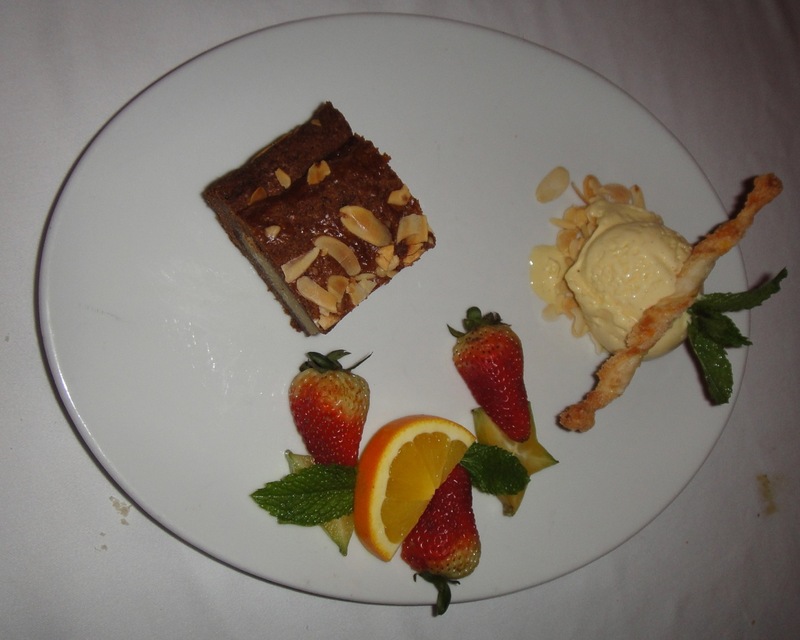 Dessert at Screaming Eagle, Aruba, December 2013. One very, very good meal here in a pleasant setting with attentive service. I found it worth every penny and will be back again to try some other dishes.